Our face is the only part of our body that is on display all of the time, so it’s no surprise that if we’re unhappy with a part of our face, it can have a devastating impact on our self-esteem and confidence. One common concern with the face is the visible signs of ageing. This can include lines and wrinkles, dull and uneven skin tone, age spots or discoloured, stained teeth. Nu Cosmetic Clinic has a range of non-surgical options to help you combat these and other facial problems. 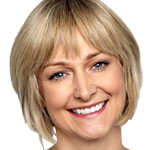 All of Nu Cosmetic Clinic’s non-surgical practitioners are very experienced and expertly trained. Further, we only use the most advanced, clinically proven techniques and products, so you can rest assured, with Nu, you’re in safe hands. Dermaroller treatment is an innovative new procedure that stimulates collagen production deep in the dermis giving younger looking, fresher skin. Microdermabrasion is a non-surgical treatment that gives you younger and healthier looking skin and can help to minimize the appearance of scars and irregularities in skin tone. Microdermabrasion is similar to a deep exfoliation where the top layers of dead skin are removed to reveal fresher skin underneath and promote rejuvenation. Peels improve the texture and tone of the skin giving a brighter and healthier complexion. They can lessen the appearance of fine lines and wrinkles and help to reduce the effect acne. Stained and discolored teeth can make us self conscious and be ageing. Teeth whitening at Nu Cosmetic Clinic will restore your brighter, whiter smile and can help you look years younger. Plump, full lips are often a sign of beauty and youth. Lip enhancement is an option for many women who have naturally thin lips or whose lips have lost volume because of age or certain lifestyle factors such as smoking. Lip fillers not only fill the lip, they can also produce a more defined shape such as the desirable Cupid’s bow. 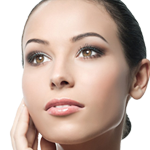 Nu Cosmetic Clinics is one of the only clinics in the UK, to offer non-surgical nose reshaping. The procedure is ideal for individuals who have slightly bent or crooked nose, nose that is too small, hooked nose, small to medium sized bump on the bridge of the nose or droop at the tip of the nose. It can be used for both lipolysis (fat removal) and skin rejuvenation. Carboxytherapy improves skin elasticity, reduces the appearance of fine lines and wrinkles, aids collagen repair and destroys localised fatty deposits. It can improve many common skin complaints including fine lines, discoloration, scars and acne marks.